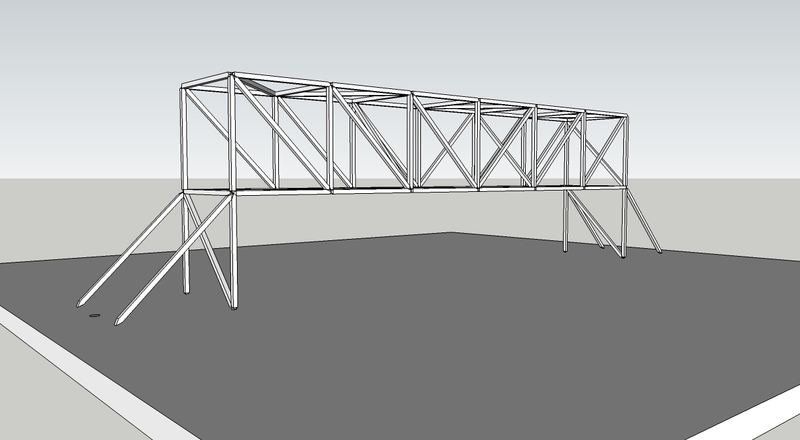 A truss bridge made with compressive and tensile members. People have built bridges for thousands of years. Roman bridges are still standing! This course will cover a brief history of bridge design. Each week, for a portion of the time, we will cover historic bridges and discuss the technology that made them work. These lessons will be the basis for the students choosing which type of bridges to build. They design the layout and determine what is needed for stability. Bridge models may be made with any or all of these materials: wood struts, paper, string, and cardboard. Math is not involved but engineering methods will be explained and simple calculations will be demonstrated. Upon completion of this course road trips will never be the same. Field Trips: Field trips are not required. Resources to be used: Thin wood dowels, precut, paper, cardboard, string, and a hot glue gun. The objective of this course is to introduce engineering concepts as related to bridge design. Methods of Evaluation: The bridge models will demonstrate the student’s understanding and creativity.